Our body contains billions of bacteria and other microorganisms. The term of "Probiotics" refers to dietary supplements for foods that contain beneficial or "good bacteria" that are similar to those normally found in our body. Although we don't need probiotics to be healthy, these microorganisms may provide some of the same health benefits that bacteria already existing in our bodies do, such as assisting with digestion and helping to protect against harmful bacteria. In addition to supplements, probiotics can be found in such foods as yogurt, fermented and unfermented milk, miso and some juices and soy drinks. Some researchers in Taiwan and Japan firmly believe probiotics may improve general health. A 2006 study in Taiwan found the a group of drug addicted patients who were given the probiotic Lactobacillus reuteri could easily quit their addictions within 3 weeks. Those who took SC-1 liquid a.k.a. New Life Drink had far less withdrawal symptoms and discomfort. SC-1 liquid also helps treat respiratory and gastrointestinal illness and enhance the function of the immune system. 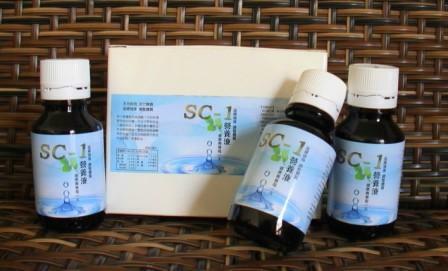 Scientists in Taiwan and Japan got good results thorough clinical research using SC-1 liquid to help cancer patients. Our clinic has a treatment plan that combines acupuncture, herbs and probiotics to help patients quit drug-addiction. The success rate is 85 to 90%.